If you’re a fan of Belstaff’s legendary motorcycle garments, you’re going to love this watch. 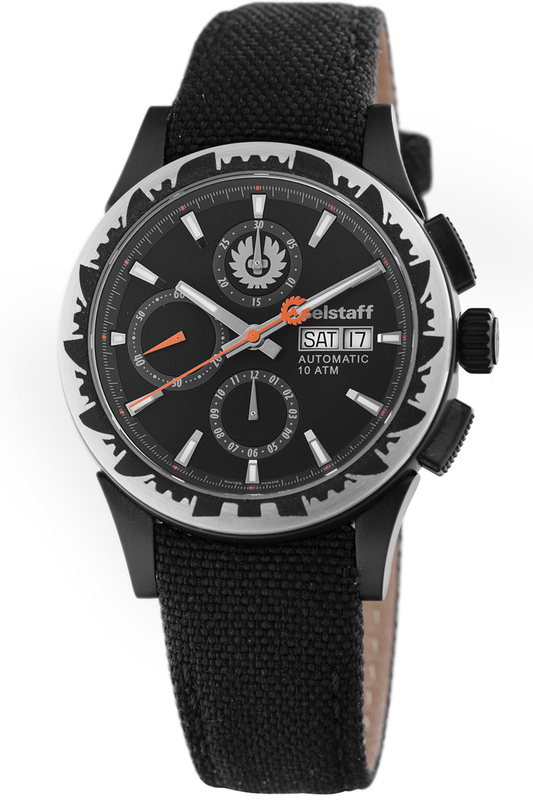 The unique bezel, constructed of stainless steel over rubber has the outline of the famous Belstaff phoenix carved into the metal, revealing the rubber below. The chronograph pushers are inspired by the shape of motorcycle pedals and use specially inserted rubber inserts that match the rubber bezel. 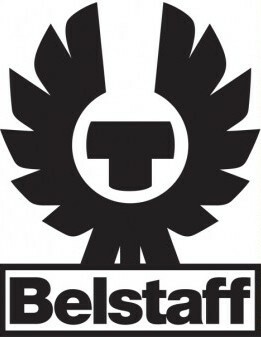 Belstaff understands that good looks don’t always make a great garment, or a great watch. Quality is found in the details and in the construction. The Belstaff Adventure chronograph’s distinctive 43mm design has been fabricated using three separate pieces of medical grade stainless steel that have been molded using the “double frappe” system. Each of the lugs is individually screwed to the case. There are two scratch resistant sapphire crystals on both the front and back of the watch. Attention to detail is everywhere. Even the screw down crown uses a special thread, so the Phoenix logo on the crown is always correctly positioned. Inside this exquisitely designed case beats a high quality 25 jewel Swiss made ETA 7750 chronometer movement is equipped with an Etachron regulator, a Nivarox-2 fine adjustment, and a 42-44 hour power reserve. The watch features three easy-to-read subdials for timing events and is fitted with a handsome antique black leather strap made of the same material used in Belstaff’s famous garments. If a Belstaff jacket is your fashion statement, you’re going to want a Belstaff chronograph on your wrist. To acquire one of these legendary timepieces for yourself, contact your Belstaff dealer today and start wearing a piece of history.